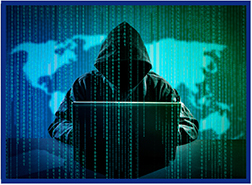 Cyber threat is a daunting risk facing small and midsized businesses (SMBs) today. Your clients may think their businesses are too small to be impacted, but the scary truth is that a staggering 1 in 5 SMBs will fall victim to a cyber-attack and, of these, 60% will shut down within 6 months. This is why we were so thrilled to announce back in July that Big "I" Markets has partnered with Coalition. We believe Coalition is a powerful ally for Big "I" Markets agents in the cybersecurity battle. You can now offer your clients access to world-class cybersecurity services to help mitigate risk, and tailored insurance products to protect in the event of a breach. Why is Coalition such a different cyber insurer? Coalition was founded by a team of leading cybersecurity experts. After working in the field, developing tools and strategies to fight cyber-crime, it was clear insurance needed to be a part of the solution. They built Coalition to solve cyber risk by mitigating cyber threats, with comprehensive insurance coverage and free cyber security apps. Underwriting Engine: Coalition scans publicly available information, collecting tens of thousands of signals and correlating this to insuring agreements selected. This all happens in seconds to ensure an efficient process where you can rate, quote, bind, and obtain a policy in under 4 minutes! Comprehensive Coverages: Coalition offers the broadest coverages available offering full limits across all coverages including funds transfer fraud/social engineering, bodily injury, property damage, and contingent business interruption. There are a variety of unique coverages including Coalition's new Breach Response Separate Limits Endorsement, which provides additional coverage for breach response costs by moving these costs outside of the aggregate limit. Risk Management Tools: Coalition's cyber risk management platform provides automated security alerts, threat intelligence, ongoing monitoring and expert guidance, among other tools all available at no additional cost. Claims Approach: From pre-breach support to incident containment and recovery, Coalition's insurance and security experts are there to help. In the event of a breach, Coalition's cyber team is in place for rapid response to mitigate risk. This Coalition-assisted claims mitigation all occurs at no additional cost. Learn more about Coalition's mission to Solve Cyber Risk by logging into Big "I" Markets or contact Carla McGee, Cyber Liability Program Manager, with any questions. Register for a Coalition product overview and training session on August 29th or 30th. Ready to begin submitting risks today? View our brief demo video of the submission process first then visit www.bigimarkets.com. In a meeting at a popular technology company, the CEO and his team had just completed their annual talent review of up-and-coming leaders within the company. Retention of top talent was a high priority, and the CEO gave an example of "Joe," a direct report of the Chief Operating Officer. The strategy included giving Joe a huge raise and assigning him to a high-visibility special project in addition to his demanding day job. The CEO stated that these actions would ensure Joe doesn't become a flight risk. The problem is that such retention strategies often backfire and are contributing factors in the voluntary departure of high-potential leaders. Let's examine why. Renowned psychologists Edward Deci and Richard Ryan developed self-determination theory which focuses on different types of motivation. Further studies by Deci confirmed that large increases in extrinsic rewards, such as a big salary increase, actually decrease intrinsic motivation and engagement. Salary is a source of dissatisfaction if it is perceived to be lower than one's peer group, but rarely a source of satisfaction and engagement once it exceeds a threshold level. Increases above that threshold become the new taken-for-granted status quo. In addition, the higher salary often stimulates an external job search because it can be used as a bargaining chip to jump to a still higher salary. As for putting these leaders on high-visibility special projects, this too can backfire. Most leaders are in demanding jobs already and can easily feel under-appreciated and taken advantage of when assigned to special projects. Consider Joe in our example above. He left the company six months after this scene took place. So then, what can a company do to engage and retain its high-potential leaders? A proven approach is to maximize the amount of on-the-job learning and growth. The process begins with setting a stretch objective that contains clear action items, is outside of the leader's comfort zone, is relevant to the leader's career goals, and is time-sensitive. Once leaders take action, it's critical to engage in self-reflection to identify "lessons learned" from the experience, both in success and failure. The best way to do this is for the leader to ask "learner" questions rather than "judger" questions. For example, ask "What are the facts?" as opposed to "How can I prove I'm right?" Or, "What can I do better?" instead of, "Who's fault is this?" Leaders should actively seek real-time feedback from stakeholders as well. All leaders, no matter how effective, have blind spots. Individuals perceive actions differently from the people around them. 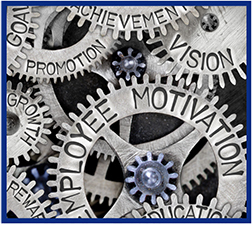 When these mechanisms of learning and self-reflection are incorporated into special projects and demanding day jobs, there is a measurable ROI in terms of higher engagement and retention. Next time you want to engage a high-potential employee, rethink giving them a higher salary or additional projects and use this approach to actually engage with them on the job. Big "I" members receive discounts on Caliper's profiles assessment and associated reports. Learn more about how to identify your high-potential leaders, visit www.calipercorp.com/iiaba or email Brett Sutch for more information. Caliper is a human capital analytics company leveraging decades of data and validated assessment results to predict and select high-quality candidates. Caliper partners with all types of organizations, industries, and sectors - from Fortune 500 companies to small businesses and from government agencies to non-profits. We help companies reduce the risk of bad hiring decisions; build high-performing teams; and engage, develop, and retain their employees. Contact us to learn more. 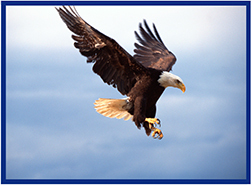 The Eagle Express program offers personal lines in 46 states and the District of Columbia. Our carrier partners are MetLife, Progressive, Safeco and Travelers. All quotes are subject to underwriting and program requirements and restrictions. We'd like to thank Big "I" Markets agents for supporting this program; the number of personal lines new business quote requests and confirmed binders for Eagle Express are up! We appreciate your contributions to the success of Eagle Express. In today's changing marketplace, a major factor that differentiates an independent agent from online companies is the relationship. It is all about building mutual trust and respect. You are the insurance professional so do not be afraid to make coverage suggestions. Counsel both your existing and potential policyholders the merits of higher limits, larger deductibles and comprehensive coverages. Not everyone is solely driven by premium. Ask the important questions. By asking the questions, it may lead to additional sales. Know what needs to be insured. Do not be afraid to ask questions! For Auto, ask about driving experience, years licensed, members in the household, driving members of the household, accidents, violations, claims, vehicle usage, if the use is pleasure and the person is employed ask how do they commute to and from work, annual mileage, confirm where the vehicle(s) is parked overnight, confirm the registered owner name(s), ask if the current insurance is in force without lapse, ask for the current bodily injury liability limits, ask how many years with current insurer, ask if there are an additional motorized vehicles in the household example, ATV, golf cart, scooter, Segway, etc. For Home, how long have you lived at the address? Is the home occupied as the primary location? Do you own or co-own any other property(s)? Ask how many people reside in the home. For homes older than 25 years, ask the year the roof and heating systems were replaced. Other household systems, confirm what type of pipes are in the home and whether the wiring contains tube, knob or fuses. Ask about the fire protection, home protection, foundation and losses. Ask about the home's features, any additions to the real property or personal property that may need coverage. Do not be afraid to ask general questions like occupation(s), social security number, email addresses, contact number(s) education or professional affiliations and safety courses. The more accurate the information collected, the more comprehensively you will be able to prepare the insurance portfolio. Do not be afraid to discuss what is not covered. Quote requests and message activity are processed in the order received. Once the underwriter has complete underwriting information, including date of birth, social security number and supporting documents (such as MSB replacement cost worksheet), quotes are provided within 48 hours, though most often it will be provided within 24 hours. To ensure the 24-48 hour quote time, please ensure the application is filled out completely. Do all the drivers in a household need to be listed on the application? Yes. All licensed drivers in the household must be listed. Additionally, all members of the household of age 18 or over must be on the application as either rated, listed, or excluded drivers, even if they are not currently licensed. Students away at school are considered household members and need to be rated; if they are without vehicles, they may qualify for a Distant Student Discount. Can separate policies be written for different members of the same household? In most cases and in most states, all drivers and vehicles in a household should be insured on the same policy. Who can be excluded from coverage? Driver Exclusions are available in all states except KS, MN, NC, NH, NY, VA, VT, and WI. For new business, anyone can be excluded from coverage except a named insured. What driving activity has to be listed? All major violations, minor violations, suspensions, at-fault accidents, not-at-fault accidents, and comprehensive claims must be listed, including those closed without payment. Do not include claims opened for PIP or medical payments only, or towing claims. Refer to your state Product Guide for specifics. What is the time period for listing driving activity? Experience periods vary by state, they are usually 3 to 5 years. For example, in a certain state, the carrier may use a five year history to determine the market placement, but only surcharge driving activity for three years. When do I order CLUE reports, MVRs, and prior insurance reports? After the customer accepts the quote. What is a Prior Insurance Report? A Prior Insurance Report updates a client's prior auto insurance information including their previous carrier's name, their time with that carrier, and prior liability limits. Is business use of a vehicle acceptable for Personal Lines auto? Vehicles correctly rated "business use" that are used in the course of business may be acceptable for many occupational uses, provided the vehicle is not being operated by employees or coworkers. Coverage is excluded from the personal auto policy for vehicles used for pickup or delivery or transporting people or property for a fee. These vehicles should not be included on a Personal Lines auto application. How are drivers assigned to vehicles? Quote & Issue may ask you to select vehicle operators in the quote. Most states rate based on an average driver rating factor. See your state Product Guide for more information. All major violations, minor violations, suspensions, at-fault accidents, not-at-fault accidents, and comprehensive claims must be listed, including those closed without payment. What types of properties are insurable? Primary owner occupied 1-2 family residential dwellings or primary owner occupied condominiums that are well maintained and show pride of ownership. Renters Personal Property are also insured. What types of properties are ineligible? Homes that are on the market for sale, vacant homes, "spec" homes, "flips", "fixers", homes listed for sale, homes under construction, homes undergoing extensive renovations, or homes in high hazard areas and homes on a historic registry. Can I write a property that is owned by an LLC, LLP, or LP? Yes, you can write LLC as the second named insured, provided the business entity consists of related parties (for example, a joint partnership of spouses or siblings). What is "Insurance to Value" philosophy? For all Homeowners our expectation is that all homes be written at 100% replacement value of the dwelling. At minimum that should be 100% of the replacement cost estimate calculated .The agent and customer are ultimately responsible for determining a figure that accurately reflects the replacement cost of a dwelling. The insured has claims related to both prior owned homes and owned rentals. Which ones should I list on the application and how far back should I go? For Homeowners - All paid losses (including CAT losses) incurred in the last 5 years to the insured's home or personal possessions at this or another location. Please keep in mind the more complete and accurate the risk information submitted to Eagle Express, the less likely we all are to suffer through mis-quotes, underwriting cancellation and a potential E&O claim. If you have any questions regarding Eagle Express, contact Jodie Bacote. Learn more at www.bigimarkets.com. Congratulations to our agent in Mississippi on an Community Banks sale of $55,570 in premium!